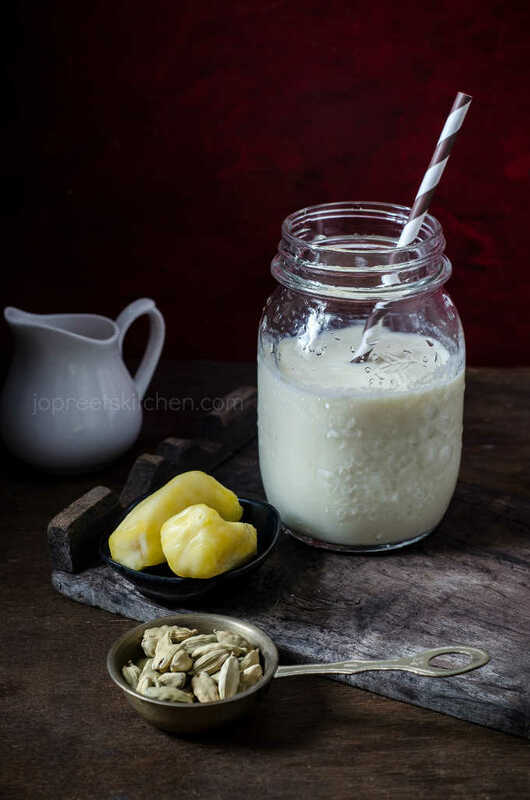 Jackfruit Milkshake, a very aromatic and delicious milkshake made from jackfruit and cold milk, flavored with green cardamom. I have not added sugar or honey. But if you need it to be more sweet, then sure add them. You can also add vanilla ice cream or any other flavored ice cream if planning to serve this to your kid. For vegan version, replace milk with coconut milk or any other non-dairy milk. 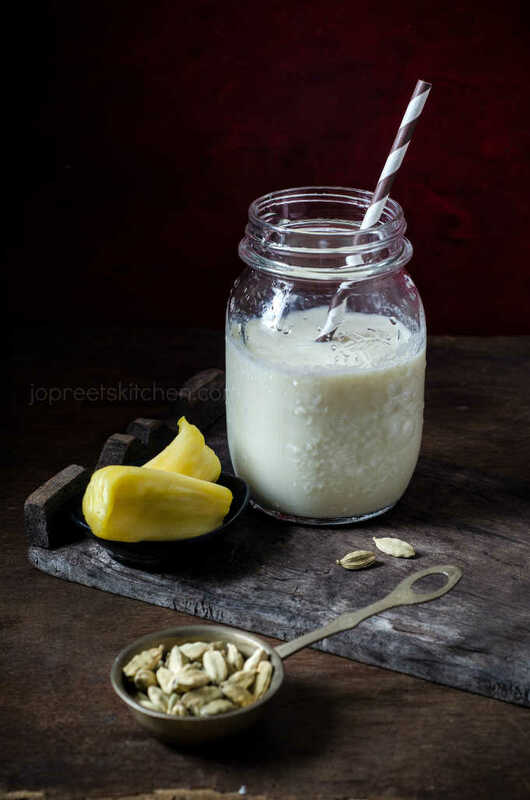 Jackfruit milkshake can also be flavored with almonds, walnuts or pistachio. Or you can also add some sunflower seeds. You need to just play with your imagination. Try this milkshake with one or more combination of fruits like banana, apple or mango. It will sure give a different flavor to the drink. If you are looking for more number of varieties, then do check my post on Summer Special Drinks. 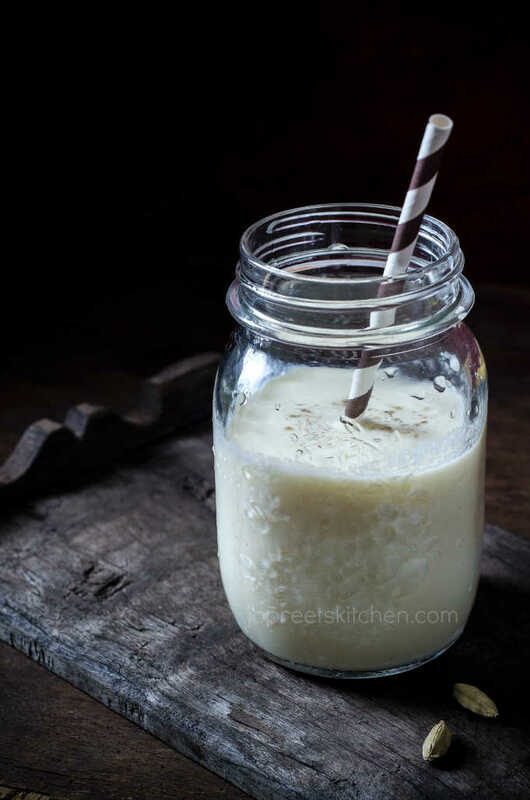 a very aromatic and delicious milkshake made from jackfruit and cold milk, flavored with green cardamom. Blend chopped jackfruit and cardamom powder in a mixer or juicer to smooth paste. Add ice cubes. Blend again. Now, add cold milk and honey / sugar if needed. Blend again and serve in tall glass. I am not a jackfruit fan but really wouldn't mind having that glass of delicious smoothie! Just perfect for the hot summer.